From energetic kittens to gentle senior cats – and everything in between – our adoption centre has a moggie to suit every home. When Rhyal and Debbie recently decided to get a new kitten, they felt strongly about adopting and giving a second chance to a shelter pet. Our cats are all adopted pets who have either been left behind, dumped or forgotten about. This in itself is so heartbreaking, so knowing that you have made a difference to someone’s life, even a cat’s life, is amazing,” said Rhyal. “Tiger is fitting in amazingly and we all adore him. 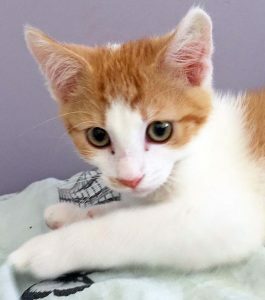 He is a little ball of energy who loves to play and is always up for a cuddle. “He gets along very well with our other cat, Blackjack. They sleep together every day! 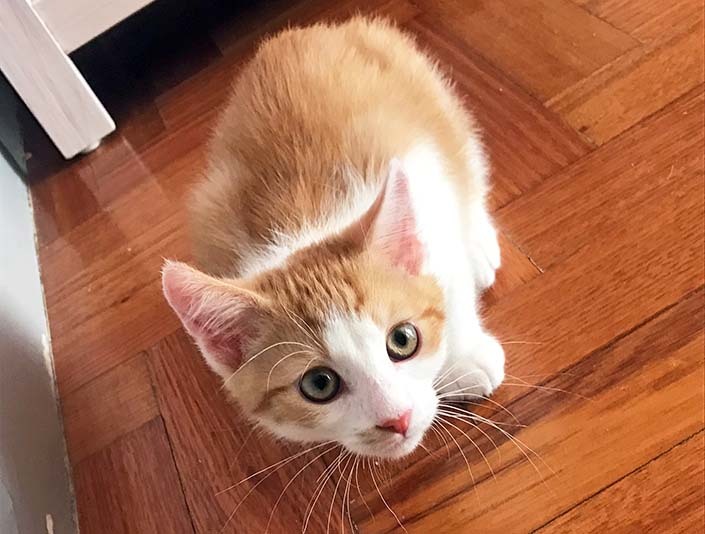 “Tiger is a fearless kitten and amazes us every day, whether it be his hyperactivity or learning to jump on the kitchen table. “Shelter pets make the best pets because, at some point in their lives, they have experienced feeling somewhat alone. This means they are always up for a cuddle and will love you unconditionally with everything they’ve got to give. Tiger has found his forever home, but we have many other cats and kittens waiting to find theirs. Until 12 February 2017, we’re waiving the fee to adopt a cat and halving the fee to adopt a kitten. Read more here.